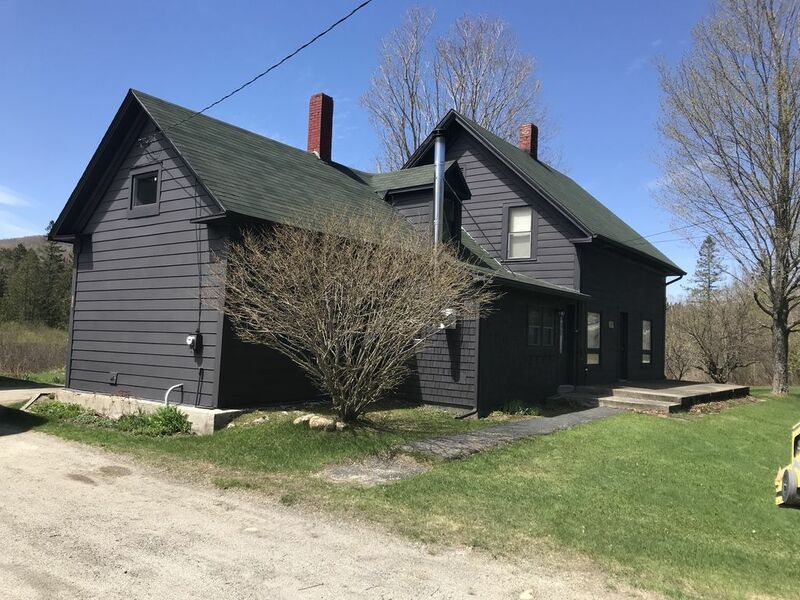 Fuga nel Vermont: la tua casa lontano da casa! Casa accogliente situata su un piccolo acro di proprietà. Un sacco di spazio per due famiglie per trascorrere le vacanze. 4 camere da letto, 2 bagni-secondo bagno ha una vasca idromassaggio (senza doccia). Grande cortile con pozzo del fuoco e grill perfetto per una serata rilassante nello splendido Island Pond. Vicino ad alcuni dei migliori percorsi in motoslitta e ATV del paese! Situato a meno di un miglio dal centro di questa città pittoresca e dall'acqua. Pescate, andate in kayak o rilassatevi sulla spiaggia pubblica in pochi minuti. La casa è dotata di tutto il necessario, compresa la biancheria. Fuga perfetta, porta i tuoi vestiti e preparati a rilassarsi in questo piccolo angolo di paradiso chiamato Island Pond! Vicino a motoslitte e percorsi ATV. Entro un'ora da tre diverse montagne di sci. Great house, very well kept and accommodating! Great house, great location, great host! Two of us stayed in this house and it was perfect for us, but it has enough bedrooms and beds to accommodate more. The heated mud room was awesome (especially because we were there for snowmobiling). The kitchen is large, easy to work in and very well stocked. The living room was comfy (and warm on cold winter nights) and it includes a TV with cable. The location is very quiet and it's so convenient to town. Cristin sent us a video of how to easily access the VAST trails right from the house, it was perfect. We hated to leave! Cristin is a fantastic host and was always accessible for any questions. We highly recommend this home! It was just a relaxing much needed getaway. I also proposed. The area was so beautiful it wasn’t hard to set a romantic mood at all! THIS PLACE WAS PERFECT IN SO MANY WAYS. PLENTY OF ROOM FOR ANY FAMILY. BIG YARD AND PROXIMITY TO TOWN. IF YOU ARE AN OUTDOORSMAN OR OUTDOORSWOMAN.... PUBLIC LANDS AND TRAILS ARE A HOP SKIP AND JUMP AWAY. THE KITCHEN AT THIS HOUSE WAS OPEN AND CONVENIENT. THE OWNERS WERE VERY RESPONSIVE AND KEPT IN TOUCH. I RECOMMEND THIS PLACE TO EVERYONE AND ALREADY BOOKED NEXT SEASON! Rest and Relaxation Coming Your Way! We had such a great time at Cristin’s Home in VT! There were only four of us, but her Home has PLENTY of room for more guests. The kitchen was well stocked with utensils, pots, pans, etc. - everything we would have needed - as if we were home. The yard was also great, we relaxed by the fire pit, walked around the woods, and had plenty of room for yard games that we brought along. Our first night was much cooler than expected, but there were plenty of blankets to go around. The house is also close enough to town that we were able to pop in to the market if we needed any last minute items or wanted to grab food outside of the house. We went Labor Day weekend and there ended up being a concert, an open market, and fireworks in town that weekend that gave us a reason to leave the house if we wanted (not that we did!). It’s also close to Derby if you’re looking for more variety in restaurants or just looking for a relaxing drive around some beautiful lakes and farmland. All in all our stay was everything we were looking for to get away from home without leaving its comforts. Thank you so much! Vicino ai sentieri ATV e motoslitta!